Mark Weiser (1991) envisioned in the beginning of the 1990s that ubiquitous computing, intelligent small-scale technology embedded in the physical environment, would provide useful services in the everyday context of people without disturbing the natural flow of their activities. From the technological point of view, this vision is based on recent advances in hardware and software technologies. Processors, memories, wireless networking, sensors, actuators, power, packing and integration, optoelectronics, and biomaterials have seen rapid increases in efficiency with simultaneous decreases in size. Moore’s law on capacity of microchips doubling every 18 months and growing an order of magnitude every five years has been more or less accurate for the last three decades. Similarly, fixed network transfer capacity grows an order of magnitude every three years, wireless network transfer capacity every 5 to 10 years, and mass storage every 3 years. Significant progress in power consumption is less likely, however. Innovations and breakthroughs in distributed operating environments, ad hoc networking, middleware, and platform technologies recently have begun to add to the ubiquitous computing vision on the software side. Altogether, these technological advances have a potential to make technology fade into the background, into the woodwork and fabric of everyday life, and incorporate what Weiser (1991) called natural user interfaces. Awareness of situational factors (henceforth, the context) consequently was deemed necessary for this enterprise. 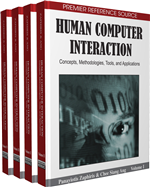 This article looks at the history of the concept of context in ubiquitous computing and relates the conceptual advances to advances in envisioning human-computer interaction with ubiquitous computing.